Like every Etsy seller who ever started shipping, I have made my share of mistakes so I will lay them all out here so you don’t have to pay for your own mistakes! 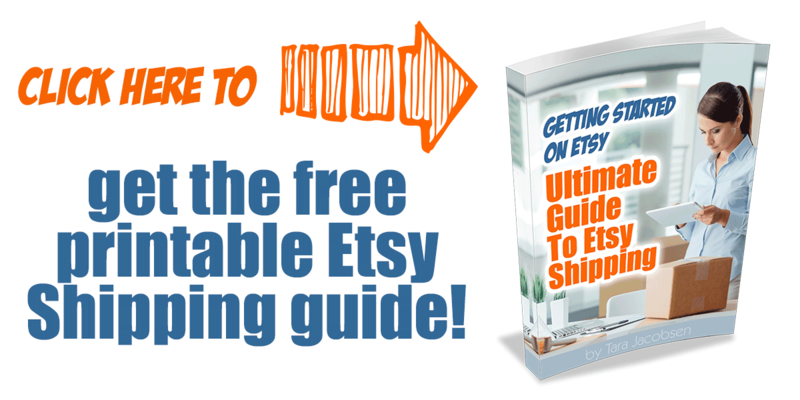 This post will walk you through EXACTLY how to ship on Etsy! This post contains affiliate links. If you purchase anything, I earn a small commission at no extra charge to you. Thanks for your support! Etsy has a shipping feature built right into the program! When you get an order you simply click the button that says “Print Shipping Label”. Etsy has negotiated rates with the post office that are lower than regular rates so shipping on Etsy can save you money! For example, I sent a package the other day to Michigan that was 16″X12″X8″ inches and 2lbs, 10oz). The cost for shipping it “Parcel Select” through Etsy was $9.50. Doing a quick review of shipping costs on the USPS site it would have been $11.65 for Priority Mail or $11.14 Ground (which is the equivalent of Parcel Select. So I saved $1.64 on just that one package by using Etsy’s shipping. 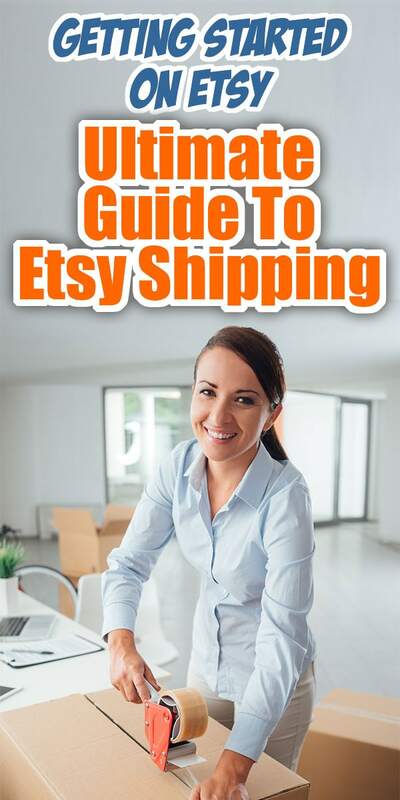 Now that might not sound like that much to you if you are just starting out, but shipping can be a big part of your costs as an Etsy seller! Having successful shipping starts with making the shipping in your listings “perfect” (for you!) This is because you have to honor the shipping that you quoted when you set up your listing, even if it is A LOT more than what you said. 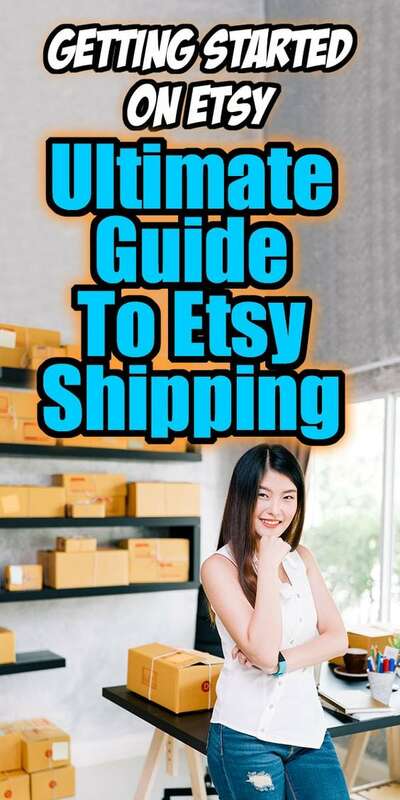 There are two Etsy shipping options, Manual or Calculated Shipping. The first way you can do shipping is to set up fixed costs manually. While I rarely use this option, it does have its place for some businesses. 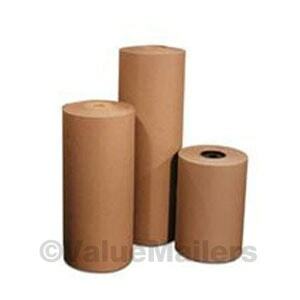 Say you sell super heavy small items that could fit into a Small Flat Rate Box or Padded Mailer. Your actual cost to ship it in the US would would be about $7.35, but calculated could quote up to $12.50 depending on how far away from your house the buyer is. In this case you would add a manual cost for that item and an additional cost for an extra items they buy. Or say that people often buy multiples of your items (like if you sell planner stickers) and you need to combine shipping often, doing fixed cost shipping would make sense! In that case you would enter the cost for a First Class Package and then make the cost for additional items $.00. Please note… the price of first class mail went up and changed to regional rates in January 2019. Here is the USPS rate page for commercial mail. Figuring out the cost to ship Internationally and having fixed costs makes sense too if you only sell one kind of item and it is the same weight and size every time. For me calculated shipping costs make the most sense (if your listings are set up right in the first place.) Because all my items are different sizes, shapes and weights, doing calculated shipping is the fastest and least scary way to ship. 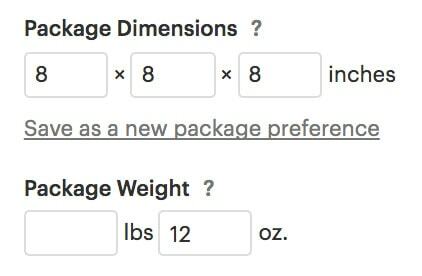 With calculated shipping, Etsy figures out what the cost should be depending on the item’s weight, dimensions and the distance to ship. You can also add a handling charge if you think that packing will require special features (sometimes I have large mirrors or pictures professionally packed at UPS). You can add the cost of your packaging materials or special handling, just remembering that the higher the shipping costs, the fewer customers you might attract. I feel that the shipping supplies are a cost of doing business and do not charge an extra fee unless the item I am shipping is super hard to pack. This “handling fee” does not show up as a line item in the shipping costs shown to the customer. Just a quick word about how to ship large items. Make sure that there are not weird cutoffs on pricing for larger sized boxes. For example, I once shipped an African wall hanging that was going to cost $100+ because the height, width and depth added together put it over the 72 maximum for that level of shipping. I wound up cutting the box down 2 inches on one side which reduced the cost by at least half. If you are shipping large items and the cost seems really high, it is worthwhile to fiddle around with using a smaller box to see if you can bring the cost down. When I started shipping I got a Box Reducer Tool that helped a lot. Now I just do a box cutter to score the cardboard… much less precise but faster for sure! Choosing where to ship to is a really personal thing. I have heard other “Etsy Experts” say that people are stupid for not shipping Internationally, but I think each person should decide how stressful for them that it will be to do! That said, the ONLY difference about shipping Internationally is that you will print out 4 customs forms (that you need to sign and date) on plain paper. You then put them into a customs form envelope from the USPS site and stick them on your box or package. That is it! I read somewhere that you have to have at least a 10″ box or package to fit the form so if my box is smaller I just use a poly mailer around the box to make it fit! Which Countries Will You Ship To? When I started shipping Internationally I shipped to any country. But after doing this for a while I have found that some countries are just not a good fit for me to export to. Many countries in Europe charge a VAT (Value Added Tax) to incoming shipments. This means that you charge your normal shipping costs, the buyer pays them but then when the package gets overseas they have to pay an ADDITIONAL tax of up to 25% of the cost of the item. For this reason I have stopped offering shipping to Europe. 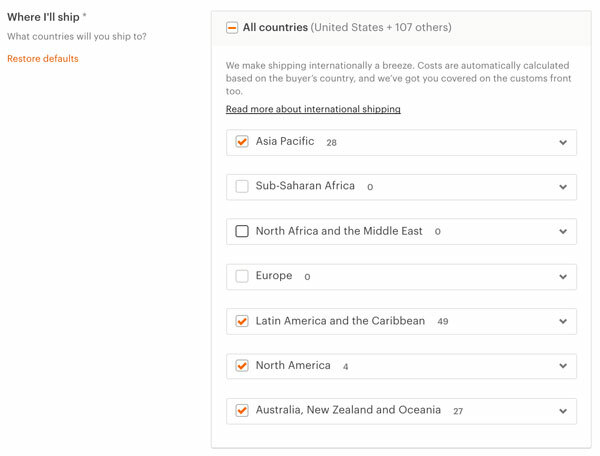 You can pick and choose which countries you will ship to! There are six default mail classes and then 2 additional ones that hide underneath the dropdown button. 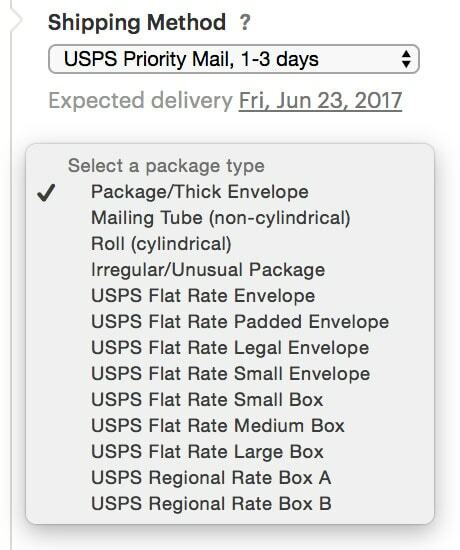 USPS Priority Mail – I include this option on EVERY size package I ship! If someone wants to upgrade to Priority that is their choice. This gets the package there in 2-3 business days. This includes Priority Mail, Flat Rate and Regional Rates. 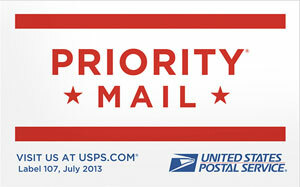 Find out more about USPS Priority Mail! On this note, please do not try to make a choice for your customer! Sometimes shipping has cost more than the item and I have still gotten 5 star reviews. You don’t know WHY someone wants to buy your piece, give them the choice of how to ship it! 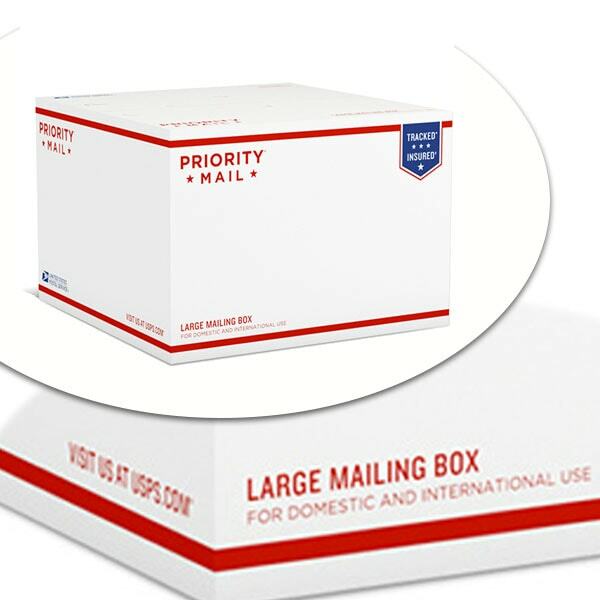 USPS Priority Mail Express – I include this option on EVERY size package I ship! This is the super fast shipping option and generally gets it there overnight-ish. It is quite expensive and I have only had one person ever choose this, but I was happy to get it out fast. 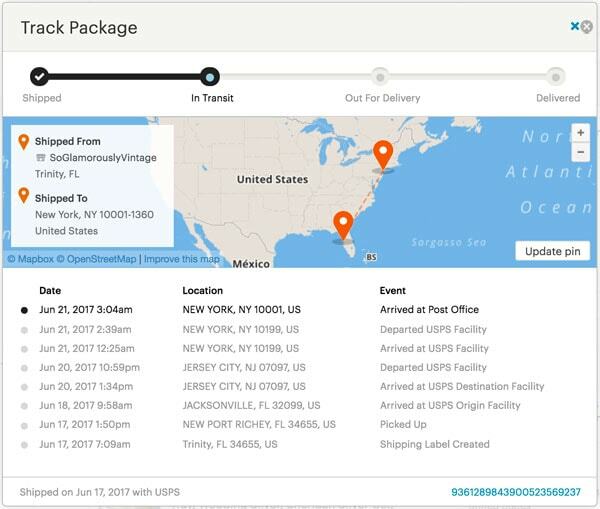 You may have to take your package directly to the post office if they absolutely need it the next day. 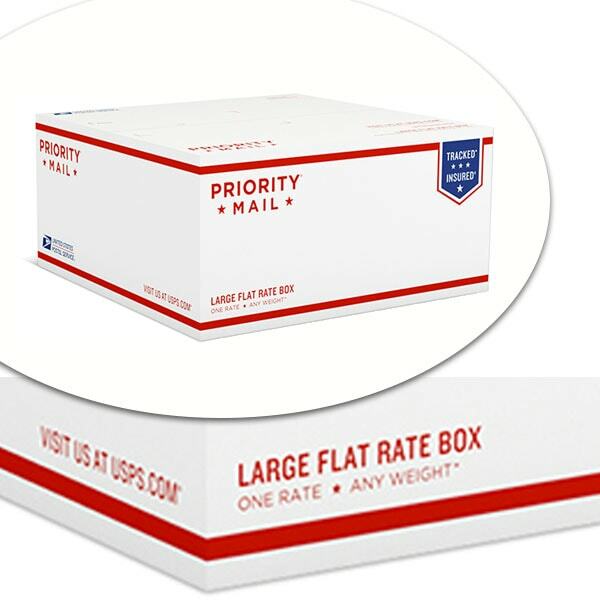 USPS First Class Package Service – This is for lightweight items (under 16oz) that are smaller than 17″ on their longest side. I uncheck this option if my item weighs over a pound. USPS Priority Mail International – At this point I generally only ship Priority International except for super low price items. With this option they will generally get their package in less than 10 business days. 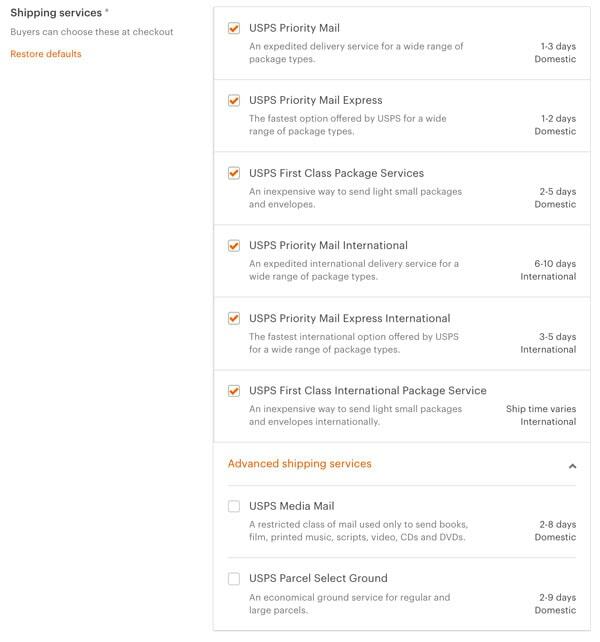 USPS Priority Mail Express International – SUPER expensive but gets their package there faster. USPS Media Mail – This is for non-commercial books or papers. USPS Parcel Select Ground – Okay, this one was a mystery to me for the first 6 months I was shipping (I didn’t even know it was there behind the dropdown button). Parcel Select is the old parcel post and is a slower, cheaper way of shipping heavy items. Please make sure you check this if your item is over a pound and under 70 pounds. It also allows for larger packages (up to 130″ combined length, width, height). The thing about Parcel Select that is the most brilliant though is that it overrides Priority as the cost to ship shown to your buyers. Say you have a heavy item that is 12″X12″X8″ shipped… if you only have Priority checked the cost could be up to $17-ish but if you have Parcel Select to choose from that could drop to around $9 which would make your buyer more likely to buy! AND when you go to print your shipping label and put in the actual dimensions and weight, oftentimes the cost to bump it up to Priority is only a buck or two! Definitely make sure you give this as an option with your shipping! So starting at the top, make sure to check that the address the customer gave matches what the USPS thinks it is. Mostly when it says it doesn’t match it means that they put “Street” and the USPS wants it to be St. or something like that. If you need to change it, go ahead and click “edit address” and make any changes necessary. Next shows you kind of shipping that the customer selected. In this case they picked USPS 1st Class. The size and shape pulls in from what I input from the listing. You can change the type of shipping if needs be, but this is super handy to have! So next is the dropdown box where you can choose the type of shipping. If you pick priority mail you get a number of different other options. I use this a lot when I trying to pick shipping options for heavier items. For example, I might try and calculate costs based on whether it is going in a Regional B box or plain Priority Mail box. The cost calculates automatically as you change your options. Now you want to double check that the information that you put in matches how you actually boxed up the package! I weigh each of the items again on the scale with the packaging included. I generally round up to the nearest ounce since I know I will be putting in the packing slip that shows the shipping information! Package dimensions is a huge factor in the cost of postage. Sometimes reducing the box size by even just an inch can make a big difference in the cost to ship an item. I use a New Carton Sizer Cardboard Box Reducer if I need to cut an inch or so off a box! For Priority Mail $100 shipping insurance in the US is included and $200 for International shipments. Parcel Select Ground and 1st Class do not include insurance although you can use Shipsurance. It usually costs just a couple of bucks and I generally only add it on high ticket items. That’s about it…it really is that easy to send something out! When I started selling on Etsy I didn’t have all these things so don’t freak out and spend a fortune on “stuff” you might never use. 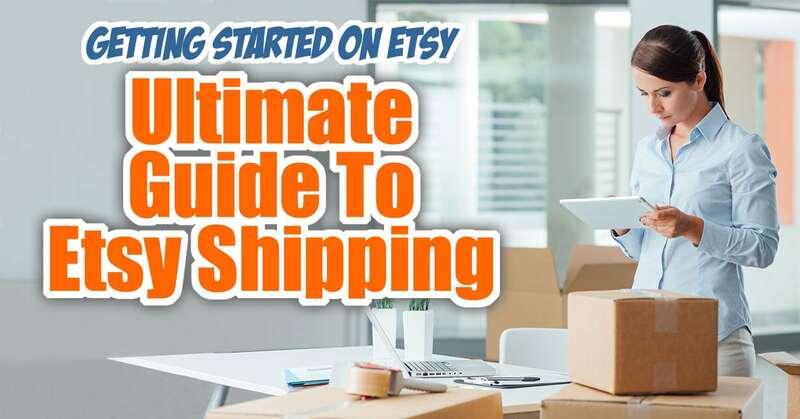 Get a few key pieces and then as you make more money you can get more an more things to make your shipping life easier! If you are just getting started, don’t panic, there are just a few Etsy shipping supplies that you need right away… let’s say bubble wrap, packing tape and a box or mailer. That is it! The rest of the things that I will mention are “add-ons” and not necessary right away. The first thing that you will need is bubble wrap. Using a high quality, biodegradable one is good for your shipping and the environment! I got my first few rolls from Home Depot and had some left over from moving but then discovered you can buy HUGE rolls on the internet for CHEAP! I got four rolls of the smaller sized, perforated and biodegradable bubble wrap for $43.95 and that lasts a few months. Bubble wrap is the biggest regular expense I have and it is priceless for making sure my items don’t get broken in transit. 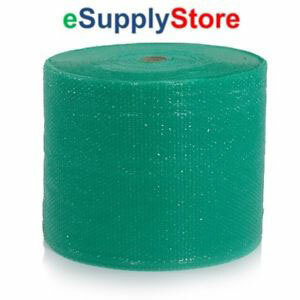 I get my 3/16″ bubble wrap from the ESupplyStore. If you are shipping a lot of breakables you might want to get both small bubble wrap for the inside and then larger bubble wrap for the outside to protect it even more. I tend to just use massive amount of tiny bubble wrap instead. While it is possible to scavenge boxes, the best way to start your “box collection” is to get them for free from the USPS website. These are ONLY for use when shipping Priority Mail and have seen some sellers who only ship Priority to start because of the free boxes. There are three types of free Priority boxes… Flat Rate, Plain and Regional (I will go over all of these shipping types later). But for now, get a mix of these. You can order 10 or 25 at a time or a sampler pack and depending on your storage space, it is better to have more than you think you will need, especially around Christmas time. Now that I have been in business for a while I KNOW that I will need smaller boxes that I send using first class mail. My two favorite sizes are 8″X6″X4″ and 6″X4″X4″. These are small enough to limit the weight for shipping but sturdy enough to make sure that my items don’t get crushed. I also got a bigger sized box that would hold larger items (even though I still ship them priority). These are 16″X12″X8″ and hold quite large items. Boxes generally cost between $.50-90 each. Now you may be selling something that does not need the protection of a box. In that case you can use mailers which are lightweight and sturdy. 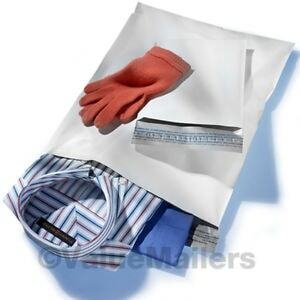 Poly Mailers are Polyethylene, light weight covers for your items. They should cost pennies to buy and it is a really good idea to double bag your items in case they get torn during transit. Poly Mailers generally cost $.02-$.05 each. These are great for shipping items like clothes or fabric, shoes and other non-breakables. I also use them when I want to wrap my smaller packages for international shipping or to make them more weather resistant in the winter months. I use padded bubble mailers ALL THE TIME. Because I ship smaller architectural salvage items, pins and other things that just need a little protection, these are perfect. They are lightweight while still providing an additional layer of protection for my pieces. I spend a wee bit more and get colored mailers because of my pink branding obsession but you can use plain plastic ones or even craft paper ones (although they may have a trouble during winter weather if you are shipping something that could be damaged by water). 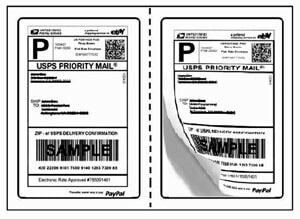 Bubble Mailers generally cost $.50-$75 each. 6″X9″ is a great size for mailers, not to big that they are floppy and not too small to fit anything in. I accidentally bought ones that were 4″X8″ and those are REALLY small and hardly hold anything bigger than a pin or jewelry. I use a company called Uneeksupply on Ebay to get my pink bubble mailers. When I was getting started I used the standard “tape gun” that everyone has from moving, but once I got a little more sophisticated about my shipping I started using a heavy duty commercial desktop tape dispenser from Uline. This lets you use 2″ packing tape just like you would any old regular tape. I think I am just clumsy, but using the old fashioned tape gun resulted in several mishaps of me almost taping myself to my packages. With this kind of desktop unit you can just pull the amount of tape off that you need! 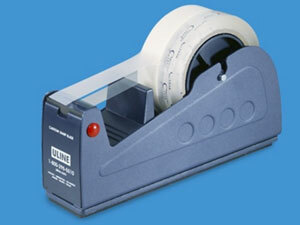 Desktop tape dispensers cost about $20 plus shipping. When I was getting started I watched the coolest video about shipping done by a warehouse guy and he said something that impacted me so much! Tape is cheap so use lots! I have taken that to heart and am a maniac about making sure that my boxes are super solid with tape. This is not the place the place to skimp out on. The company that I got my tape from OVER A YEAR ago is no longer in business, but this is what I got “36 Rolls Box Carton Sealing Packing Packaging Tape 2″x110 Yards(330′ ft) Clear”. I am not quite half way through my rolls of tape and have never had a complaint about a box being damaged because of tape! 36 rolls of tape was $26.89 so about $.75 a roll. When you do you your shipping labels through Etsy they make a half page label that you can just print out. I found these labels early on so never had to go through the hardship of printing labels, cutting them in half and then taping over them to keep them safe. Instead I just print them out on sticky “round corning half sheet labels”. I got my labels from Ucalfy. The ones that I got were $26.75 for a thousand, so about $.02 each (SO worth it.) Do NOT get ones from Avery at a big box store, they are like $.17 each! Okay, this one was a tip from my shipping buddy Tena D! She was staying at my house and kept insisting she had to show me something… hand stretch wrap! Functionally this plastic wrap that comes on a handle and lets you “shrink wrap” your bubble wrapped item. I thought it was silly, why get this when I had tape BUT come to find out I was wrong. This is my absolute favorite hack for advanced shipping EVER! I get my hand stretch wrap from Packing Supplies By Mail. The last thing I want to talk about shipping supplies wise is clean fill. Functionally this is the packing material that you crinkle up and put into boxes to “fill” them up. Most damage to boxes doesn’t come from being too full, most comes because the boxes are not completely filling all the space inside. Clean fill helps to keep your items from banging around inside the box. I have had my roll (I got the tall, skinny 24″ 30 lbs 1420′ Brown Kraft Paper Roll) last year and it is still going strong! That is because I supplement it with clean fill that I get and reuse from inside boxes that come to the house! Many of my items get shipped 1st Class Mail in small boxes, poly or padded mailers. You can ship anything, any size first class mail up to 16 ounces and 34″ long, or 17″ high, or 17″ thick (so quite a big item). You can also ship International 1st class up to 4 pounds. I find that many of my overseas customers pick this option when they can as it makes the cost MUCH cheaper than sending International Priority. The USPS doesn’t guarantee a delivery time for first class mail, although I find it generally takes 3-5 days to get there. Tracking is included but insurance is not. Many of us start by using Priority mail because it is easiest. You can get the boxes for free from USPS and there is tracking and insurance included. 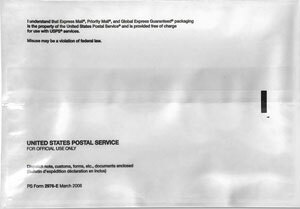 Generally you should use Priority Mail for any package over 16 ounces (1 pound), under 16 ounces you can use 1st Class postage. The USPS guarantees delivery in 1 to 3 business days for the United States. You can go directly to the USPS.com website and order your boxes and your postman will deliver them right to your door! There are four types of free Priority Mail… regular boxes, flat rate boxes, regional boxes and padded envelopes. >> Get all of these boxes, envelopes and stickers for FREE on the USPS website! Right off the bat are regular plain jane Priority Mail boxes. These can be used for any area and DO NO have any other “notes” on them besides the size of the box. My two favorite sizes of these are the 7″X7″X6″ (Priority Box #4) for smaller items and 12″X12’X8″(Priority Box #7) for larger items. These are great for when you have something light that still has to go priority because the cost to mail goes higher and higher the heavier your package is. For some reason, this is what I thought ALL priority boxes were! When you use a Flat Rate Box weight doesn’t matter as you are paying one price for shipping based on size of the item rather than weight. Each of these boxes clearly states “Flat Rate” somewhere on the box. 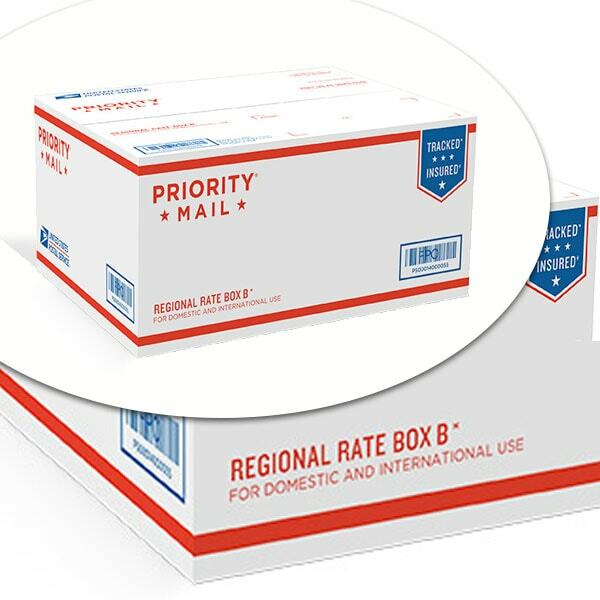 You CANNOT use a Flat Rate box that is a better fit and then just do the postage amount for a regular Priority package. Your customer could get a notice that additional postage is due on delivery. This is the famous “if it fits, it ships” box that you can pack full and as long as it will close with the right shape they will deliver it. This is the most confusing of all boxes! There are two different kinds of these (Regional A and Regional B) and many different sizes. Functionally, you pay shipping for these boxes based on weight AND distance. Regional A’s are for lighter heavyweight items and Regional B’s are for heavy items. So if you have a super heavy item but it is being shipped close to you, it would be worth seeing if a Regional B box would be best since the zone would be close and you might not need to pay as much as a Flat Rate would be in this circumstance. But if you had a lightweight box going far away, this would NOT be the way to go as you would pay big for going a lot of zones away and be missing the benefit of the heavy factor. Here is a great article on Flipper Tools about Regional Priority boxes if you would like to learn more! It talks about selling on Ebay but has a great explanation! I know the post office loves us because they made the Padded envelopes that we can use to ship ANY weight item for the same price as the smallest flat rate box (around $6 at the time I am writing this). These are 9.5″X12.5″ and fit quite a good sized package! This is great if you have a heavy, weird shaped item or if you have a heavy item that is too big for the smallest flat rate box! I have found that while there are some things I can ship plain in this mailer, mostly I like having a box to put in there too. The Scotty Stuffer is a box that fits perfectly inside the padded mailer. This added light weight box really does help protect your items. 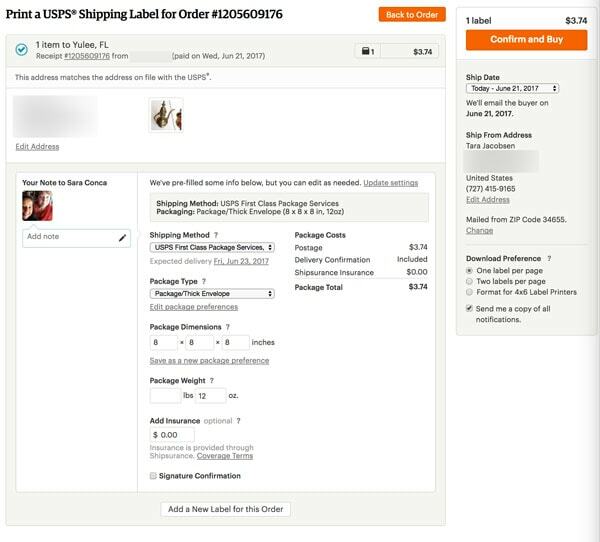 Simply record the measurements and weight and pick Priority Shipping in the Etsy dropdown. I think that they like if you put a Priority Mail sticker on it to show the postal workers that is a priority package! You can get these for free on the USPS site too! With Parcel Select there is no guarantee of delivery times, although they do give a window of 2-9 days that could be the expected time. Parcel select is a great option to offer if you have big packages or if you have a heavy item and customers are complaining about the cost to ship it. You have to use your own boxes for Parcel Select Ground. Tracking is included although insurance is not. 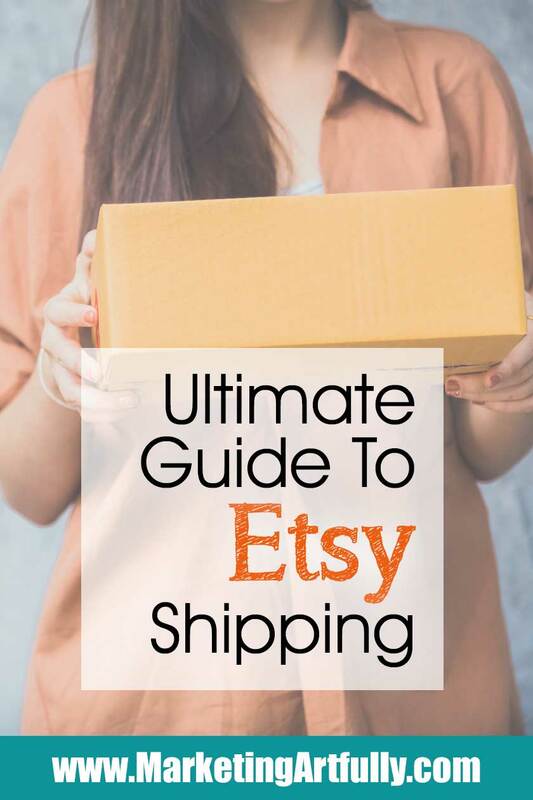 I started this page right after I did a talk at a library where almost 30 brand new and potential Etsy sellers peppered me with all kinds of questions about shipping! Hearing their questions I was struck by how much I had learned about Etsy shipping over the years and how much easier I could make the process for them if I just wrote it all down! Do you have to use Priority flat rate shipping boxes? You DO NOT have to use Priority Flat Rate shipping boxes! You can use any boxes you want and then put the Priority Mail stickers on them (free from USPS). What if the USPS says the address is wrong? I ALWAYS check and see if the address is right for the shipping label. Sometimes what is “wrong” is just how the address is spelled out, but sometimes the customer will mess up their zip code or other details. If it seems really wrong I will do a Google search to see if I can find them (this fixes it 80% of the time) or as a last resort I will convo the buyer to confirm the shipping address. Are your packages standard sized? If your packages are all a standard size it is worth taking the time to find the “perfect” shipping materials like boxes or mailers. 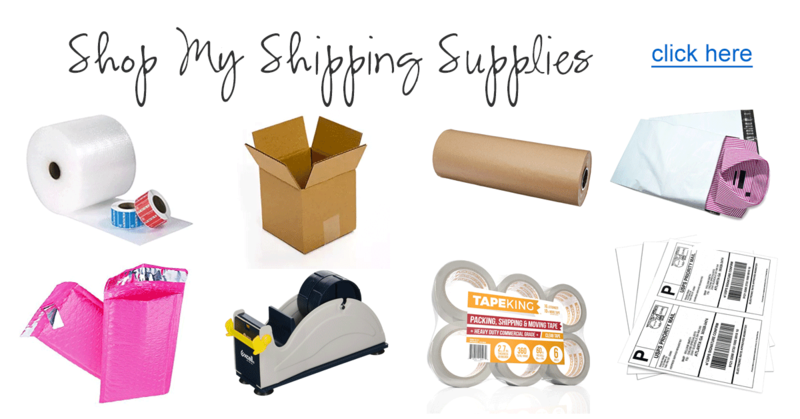 Oftentimes you can buy shipping supplies in bulk and save yourself some money. Are your packages all different sizes? Because I sell vintage, ALL my packages are different sizes. That said, I was able to find some standard sized packaging that works for a lot of my orders. You will also have to become a “packing ninja” since you will have to learn how to pack all different kinds and shapes of boxes. Should you just use Priority Mail? One suggestion I hear often is to just ship Priority Mail. That way all your shipping boxes are free and you get free insurance on every item. While I think this works if your items are over 1 lb., I think you will miss lots of sales if your shipping costs are artificially high due to only shipping priority. Should you offer free shipping? This is a personal question. Some people think that offering free shipping will result in more sales. I have found that when I increase the price of the item to cover the this shipping cost I price myself out of the market for the item. I simply make sure that I ship the most cost effective and fair way possible. I think yes! Shipping overseas will help increase the number of sales that you get and since it is so simple it is worth taking the time to figure it out. Why do things break when you ship them? I had a mover yell at me one time about how horribly I had packed my boxes. He said things had gotten broken because I hadn’t filled all the space in the box. I have never forgotten that and make sure that I use clean fill, air pillows or something else to fill up the empt space in my boxes. Surprisingly enough, a box that is “full” and only slightly bigger than your item provides more protection than big box it can rattle around in. How can you ship super fragile things? You should “double box” fragile items. By this I mean to pack it up like normal with bubble wrap, tissue paper, everything just as if you were going to send it out. THEN get a bigger box and put that box inside it and put packing in it to fill it. This “floating” the smaller box in the bigger box will help your item not break if it is dropped or crushed. Does the post office drop our boxes on purpose? I toured a mail deliver station with my son’s class a couple of years ago and it was so enlightening to see how our packages travel around. They are on conveyor belts, dropping down from as high as 5′ and then in baskets all jumbled up with other packages. Then in the trucks they are piled up with other packages and driven around. So I pack my boxes with the expectation that they will fall off a 5′ cliff! What if you mess up and the shipping costs A LOT more than you thought it would? Can you ask the buyer to pay more? Last but not least, what if you messed up the shipping. Maybe you did manual shipping and it cost a lot more than what you put or you did International but had to use a much bigger box so it cost a lot more. Can you go back and cry to the buyer? Nope! I feel like all the times I messed up on shipping were teaching me to do better the next time. It is not my customer’s fault that I don’t know how to price shipping. Eat it and do better next time! I am Etsy seller with two stores (Paperly People a digital store and Glamorously Vintage where I sell fabulous old finds!) I also sell on Ebay and so have shipping A LOT of items and am finally starting to feel like an old pro. 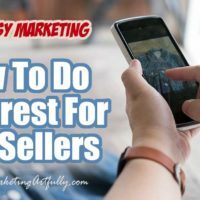 More Great Tips For Etsy Sellers! 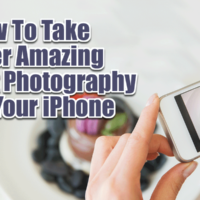 I have been working super hard on my product photography over the years and have some fun posts that might help you take better product shots too! 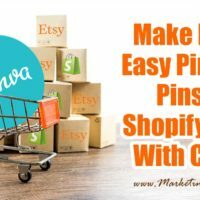 5 Ways To Up Your Pinterest Game For Etsy Sellers! Tara’s “tell it like it is” personality combined with her 100 miles per hour presentations have earned her the title “The Queen of Marketing Ahhh’s” from her raving fans. 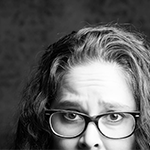 Check out her marketing courses and products at her Etsy Store, Paperly People.